Taking up the roles that Salman Rushdie himself has assumed as a cultural broker, gatekeeper, and mediator in various spheres of public production, Ana Cristina Mendes situates his work in terms of the contemporary production, circulation, and consumption of postcolonial texts within the workings of the cultural industries. 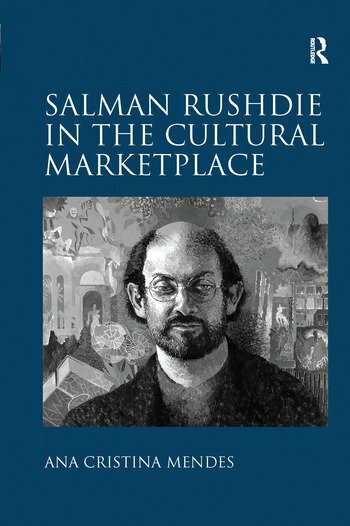 Mendes pays particular attention to Rushdie as a public performer across various creative platforms, not only as a novelist and short story writer, but also as a public intellectual, reviewer, and film critic. Mendes argues that how a postcolonial author becomes personally and professionally enmeshed in the dealings of the cultural industries is of particular relevance at a time when the market is strictly regulated by a few multinational corporations. She contends that marginality should not be construed exclusively as a basis for understanding Rushdie’s work, since a critical grounding in marginality will predictably involve a reproduction of the traditional postcolonial binaries of oppressor/oppressed and colonizer/colonized that the writer subverts. Rather, she seeks to expand existing interpretations of Rushdie’s work, itineraries, and frameworks in order to take into account the actual conditions of postcolonial cultural production and circulation within a marketplace that is global in both orientation and effects. Ana Cristina Mendes, PhD, is a researcher at the University of Lisbon Centre for English Studies (CEAUL/ULICES), Portugal.